As the anniversary of the devastating Boston Marathon bombing approaches, charities and organizations are still mourning and supporting the victims of the tragedy. One family in particular was devastated by the bombing when their 8 year old son, Martin Richard (the youngest of the bombing victims), was killed at the race. Martin was a loving and active boy participated in the BAA’s children relay the weekend of the Marathon for three consecutive years. The Richard’s family has since started a non-profit, THE MARTIN W RICHARD CHARITABLE FOUNDATION, MR8, to raise money with the support of many people who refuse to forget. Last year after the tragedy, Molly Akers and Samantha Kirkham (longtime RAM Racing fans) refused to sit back and do nothing. These two determined women organized a race to raise money for Martin Richard’s family, and sent them this heartwarming video with the money they had raised from the race to show their support, and have been close with the family ever since. They have chosen to take to their qualifying entry for more than just a finish time and will be running as inaugural members of Team MR8 for The Boston Marathon 2014 to honor Martin Richard working on promoting the Richard Family’s charity. RAM Racing is proud to support the Martin W. Richard Charitable Foundation, Inc. and Team MR8 Boston Marathon 2014 charity. You can donate to this amazing cause and remind The Richard family that a year later, people still care and support them as they continue healing and honoring Martin. Running community unite–running never stops. At 6:30pm on Monday, April 22nd, independent running stores across America hosted a 3 mile solidarity run for those affected by the events that took place in Boston on Monday, April 15th. RAM Racing and Running Away Multisport encouraged runners throughout Chicagoland and across the country to find a solidarity run near them (or do a personal solidarity run if they couldn’t make it to a store) to help show their support and love for the running community. RAM hosted a run in both Deerfield and Chicago. Over a thousand supporters came out with family and friends to run for the victims of the Boston Marathon bombings and the city of Boston. A big thank you to the Chicago Park District for their aid in making the runs possible on Monday evening! A “Runners for Boston” t-shirt was sold before the start of the run. All proceeds from the $20 shirt will benefit the One Fund Boston, donations can still be made here. Running Away Multisport will be selling “Runners for Boston” t-shirts starting Friday, May 3rd. If you ran on Monday, and did not receive a t-shirt, please stop by either the Deerfield or Chicago-Clybourn store to pick one up and make your $20 donation. Thank you Chicagoland runners, you are an amazing running community and we are proud to be a part of it! “It was great to see such an awesome turn out tonight. There is something to be said about runners…” ~Renee H.
“Thank you RAM Racing for bringing us all together and giving us an opportunity to show our support for Boston.” ~ Katie H.
What charities are you benefitting when you run a RAM Race? One of the best parts about the running and tri community is the tight knit bond with charities across the nation! You may not realize how much you are helping local charities by participating in Chicagoland races, but just by signing up you are making a contribution to some amazing organizations. RAM Racing works with a different charity for all of our local events, and we love it! The money raised from one event can help a small charity reach their donation goals for the entire year. Find out a little bit about each of our charities and the different groups they benefit. 100 Club of Chicago – Cinco de Miler Charity – This organization provides for the surviving spouses and dependents of law enforcement officers, firefighters and paramedics who lose their lives in the line of duty. This includes all federal, state, county and local officers, firefighters and paramedics stationed in Cook County. Since its inception, the 100 Club of Chicago has served 247 families with more than $9 million, of which more than $4 million was devoted to educational assistance for the dependents. Misericordia – North Shore 1/2 Marathon Charity – Misericordia offers a community of care that maximizes potential for persons with mild to profound developmental disabilities, many of whom are also physically challenged. By serving society’s most vulnerable citizens, Misericordia also serves the families who want the best for them, yet cannot provide it at home. Blade Runners – Terrapin 5k & Music Festival Charity – Chicago Blade Runners is a group dedicated to helping amputees interested in running. They have over 20 members who range from competitive athletes to recreational runners. The group is filled with great people who motivate and push each other to have fun and achieve their goals. If you are an amputee who is interested in running or an able bodied runner interested in being a guide, the Chicago Blade Runner’s would love to welcome you join their group. Gilda’s Club – Bucktown 5k Charity- Gilda’s Club Chicago opened their signature red door in 1998. They provide a warm and welcoming meeting place where men, women and children diagnosed with cancer, and family and friends, join with others to build social, emotional and informational support as an essential supplement to medical care. Membership and their program is free of charge. Gilda’s Club offers support and networking groups, lectures, workshops and social events in their home-like clubhouse. Black Diamond – North Shore Turkey Trot Charity – Black Diamond Charities is a Charitable Fundraising Organization formed to Support and Empower the lives of Children in need, as well as, Armed Forces Personnel who have served in Defense of our Freedom, and their families. Ronald McDonald House Charities – Hot Chocolate 15/5k Chicago Charity – RMHC improves the health, well-being and education of children through their core programs. The four houses in Chicagoland and Northwest Indiana provide a ‘home away from home’ for families of hospitalized children. The Houses allow families to eat, sleep and find the emotion support they need just blocks from where their child is receiving treatment. 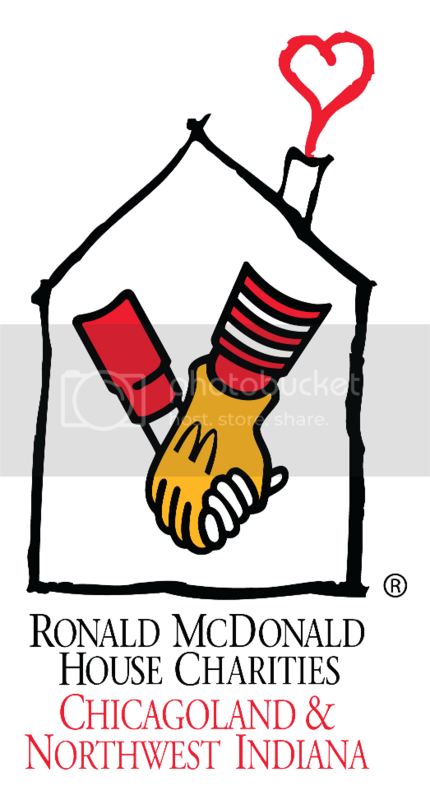 The world’s largest Ronald McDonald House opened at 211 E. Grand Ave, in downtown Chicago last year! With 14 stories of care and comfort, the House is able to accommodate 86 families each night offering a rooftop healing garden, a kitchen filled with home-cooked meals and supportive conversation. Children’s Oncology Services, Inc – Big Foot Triathlon Charity – believes that a diagnosis of cancer should not prevent a child from experiencing the simple joys of childhood. Thank you for helping us support the local charities of Chicagoland Rammies! Posted in CHARITY, RAM ARCHIVES | Comments Off on What charities are you benefitting when you run a RAM Race? Rock the Night 5k/Music Festival (formerly Terrapin 5k) – Registration is now open! North Shore Turkey Trot in Highland Park, IL – Registration is now open! Registration is now open for the Big Foot Triathlon on June 22nd, 2014!